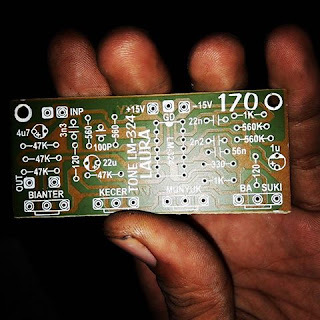 There are many a circuit about tone control in this site, that the most similar circuit with this tone control is 4558 Parametric Tone Control. 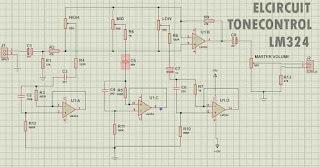 But this tone control circuit is an overall good performance to controlling your audio. The tone control adjusts by variable resistor Potentiometer that includes, High, Low, Middle, and Master Volume. 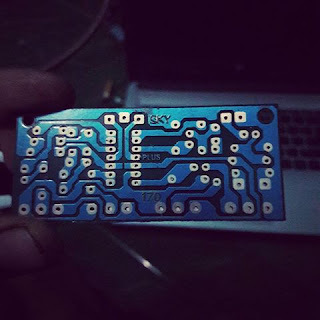 By using a single chip LM324 basic op-amp to control and adjusting the tone. This circuit needs voltage supply about 12V to 15V DC CT. Use regulated power supply and nice filtering the DC current, to get the sound output so less hum and more tone performance. This tone control is a mono circuit, if you want to make a stereo tone control, you must make multiple. 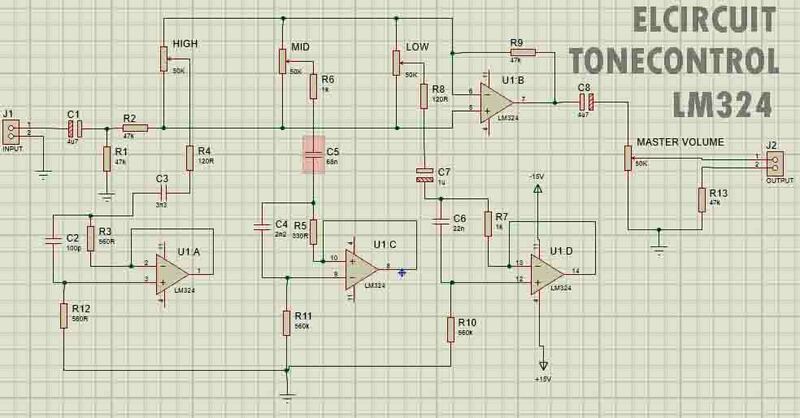 Below the Circuit and PCB Design of Tone Control Mono LM324. *note: Click images to view larger.